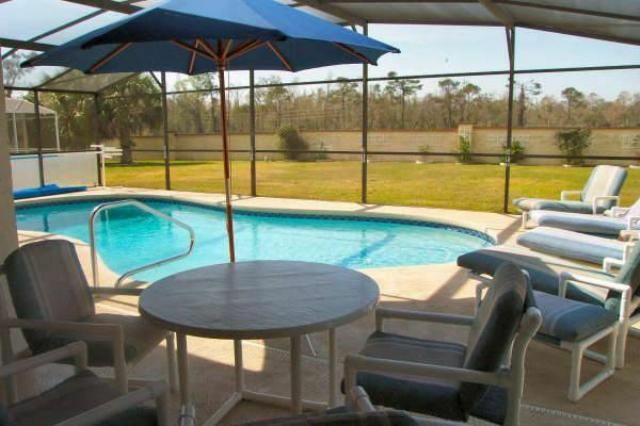 If total privacy when sunbathing, enjoying your own over-sized south facing pool or relaxing in your hot tub/spa is on your wish list then look no further Goofy’s Getaway is the vacation home for you. 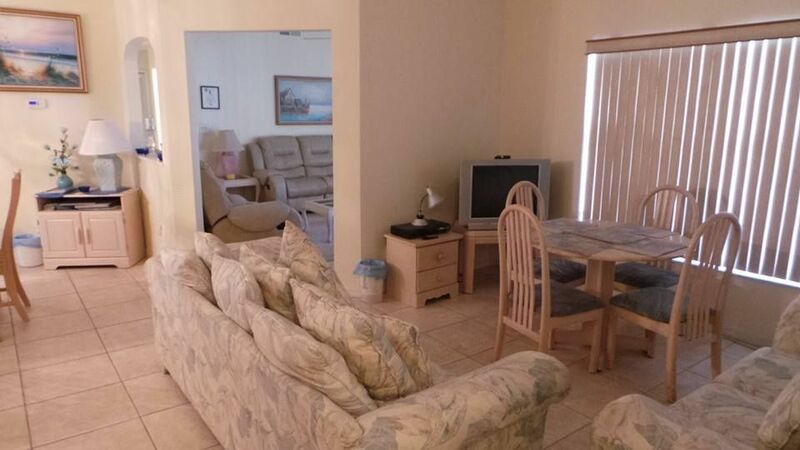 This spacious, beautiful and well designed home sleeps 8 comfortably, offering a split bedroom plan suitable for two families vacationing together. 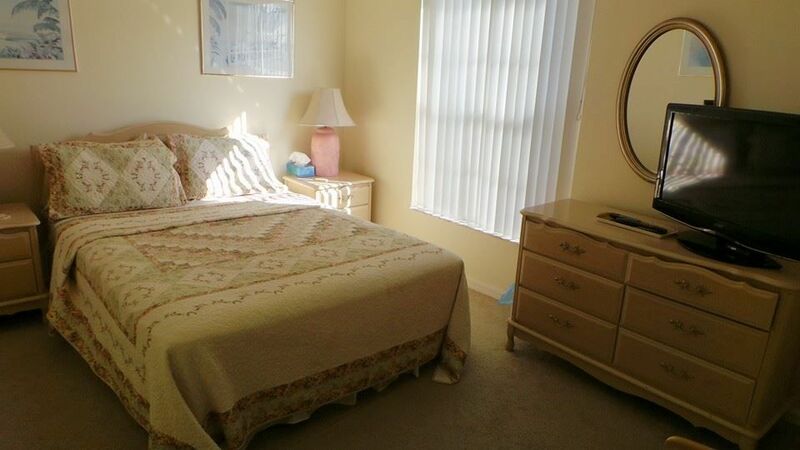 It is situated on Indian Ridge, a well established, quiet, friendly neighborhood, less than 4 miles from the gates of Disney World theme parks and water parks. 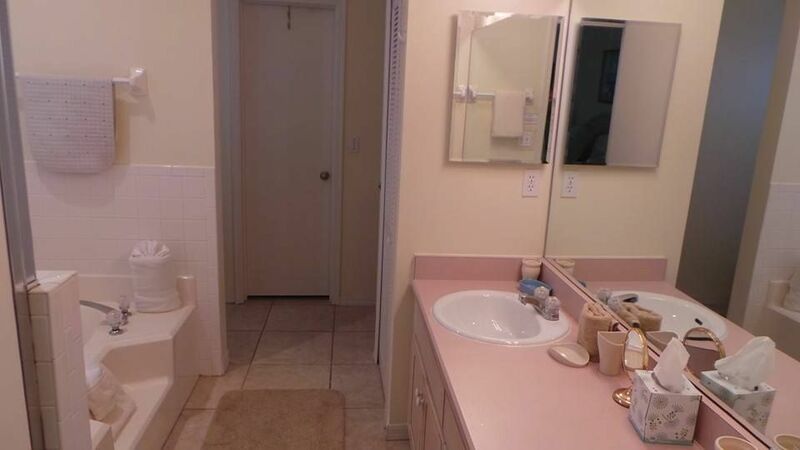 The total privacy and pleasant surroundings are ideal for relaxing between visits to all the many local attractions, yet also close to shops, restaurants, golf courses and the night-life of Downtown Disney. The Villa is not overlooked, being on a large plot with a walled garden backing on to woodland. 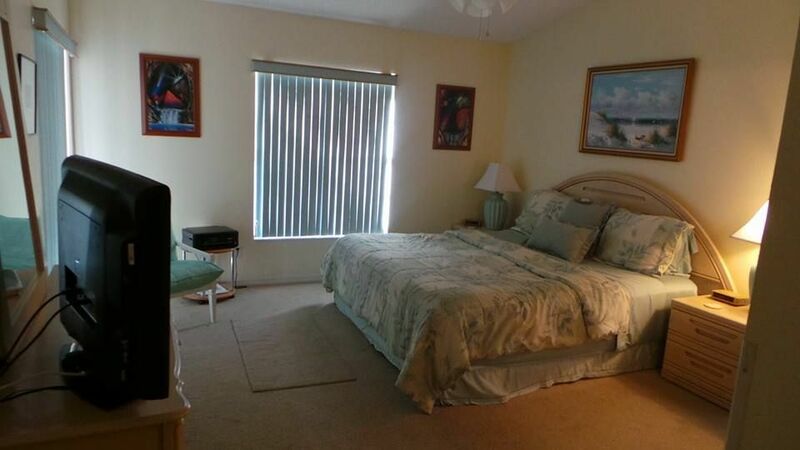 It offers an impressively large pool (33ftx17ft and 6ft-3ft depth) screened with oversized deck and recently the owners have added a hot tub/spa. While the kids are swimming you can be grilling on the free of charge gas BBQ, then enjoy lunch under the lanai in total peace. The pool area also has a selection of comfortable chairs, sun loungers and tables for those quiet sunbathing moments in the Florida sunshine, and floodlit for warm evening BBQs whilst watching the sunset with a glass – or two! 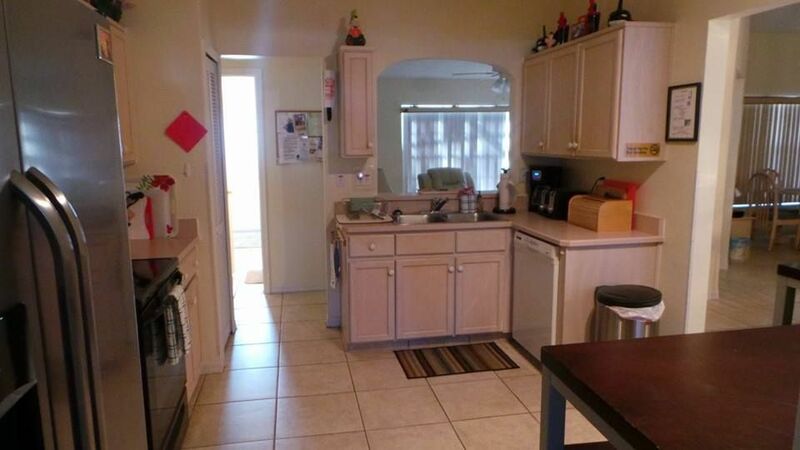 Thanks to the tiled floors the house feels light and spacious. Inside you enjoy the cool of the ceiling fans, the air conditioning, and the attractive, spacious rooms, comprising a fully equipped Kitchen/Breakfast area, open plan Dining area, a large sitting area with TV, CD/cassette radio, and books for those quiet moments, and a comfortable Family room with a large flat-screen TV, leading through sliding glass doors to the outside deck and pool. For guests to keep in touch with family/work, surf the web or download those special photos there is a new Compaq Desktop Computer with a flat monitor and printer and free “always on” high speed internet access, together with a wireless router for your own laptop access. 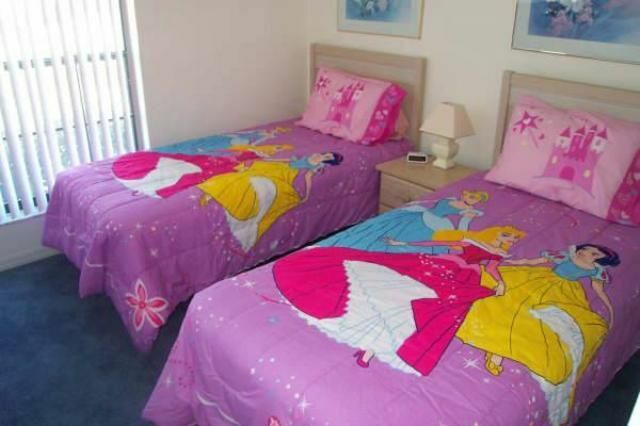 Ideally suited for two families sharing, there is a large Master bedroom En-Suite, with King sized bed overlooking the pool, and an adjacent twin-bedded room for Disney Princesses!, which can also include a crib(cot). 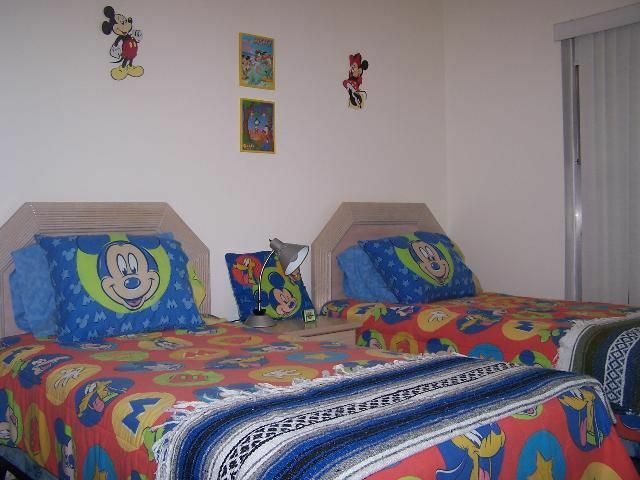 Two further bedrooms are situated on the other side of the Villa - a Disney Themed room with twin beds and the other with a Queen size bed and a shared family bathroom with a door leading to the pool. 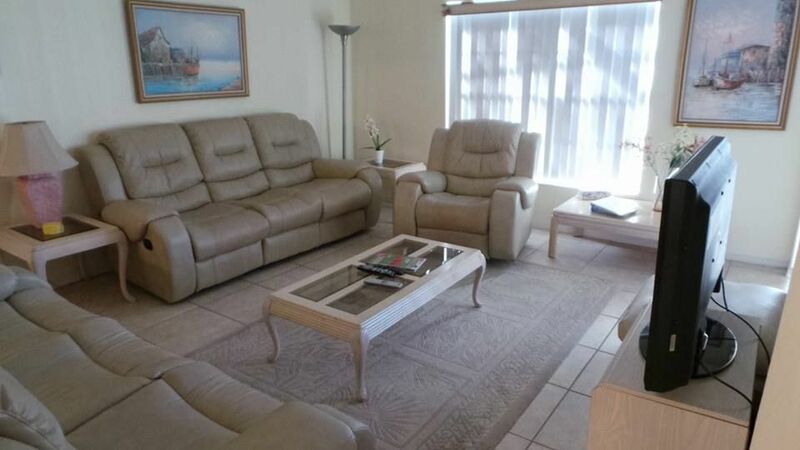 Included are cable TVs in every room, two DVD players and the use of a security safe. For your children’s safety and to conform with Florida law all doors leading to the pool deck have safety alarms. The villa is non-smoking and child friendly. 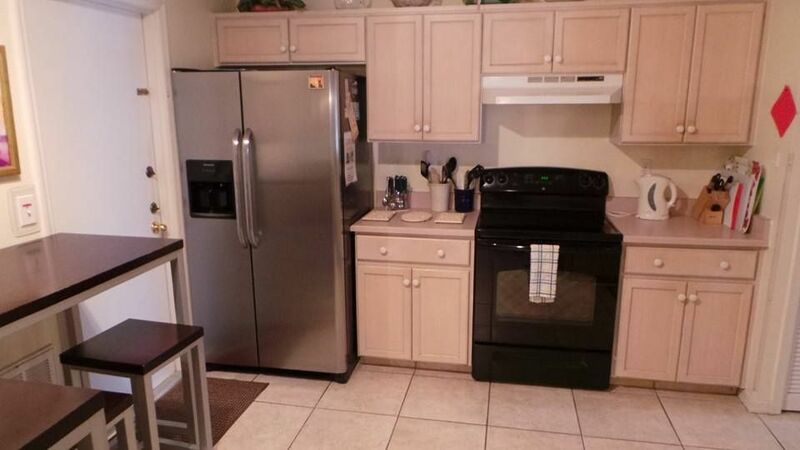 It also features a double garage, full laundry facilities, iron, hair dryers, towels & linens and a fully equipped kitchen with a comprehensive range of appliances which include a Dishwasher, ice making Fridge-Freezer with filtered drinking water, a microwave, coffee machine, toaster, sandwich maker, liquidizer, cutlery, china, glasses, and non-breakable plates, cups and “glasses” for use outside, cooking utensils, and everything needed for a great relaxing self - catering family holiday in the sun. This is a Getaway to treasure. Take this opportunity to enjoy it for yourself. 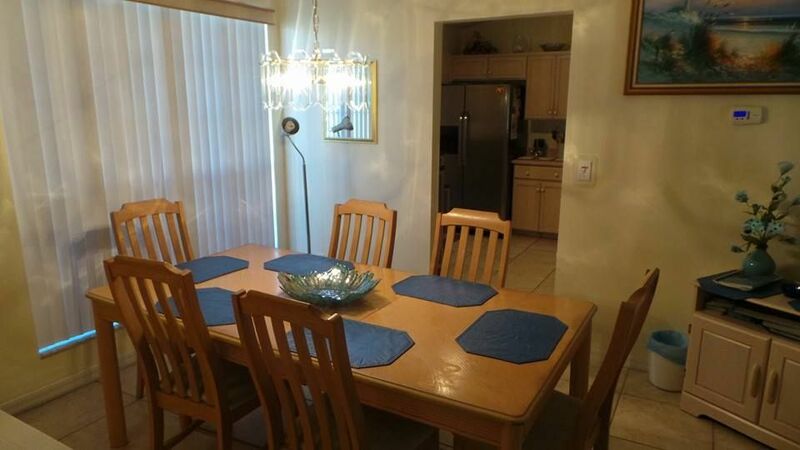 "First time in Florida, had a fantastic holiday, made even better by this lovely villa, very comfortable and spacious, kids are already planning the next trip!". "a really fantastic family holiday in a well equipped, welcoming villa...a lovely base to come home to after our busy days out. A highlight has been the barbeques and eating round the pool!". "This house made our vacation a dream.". 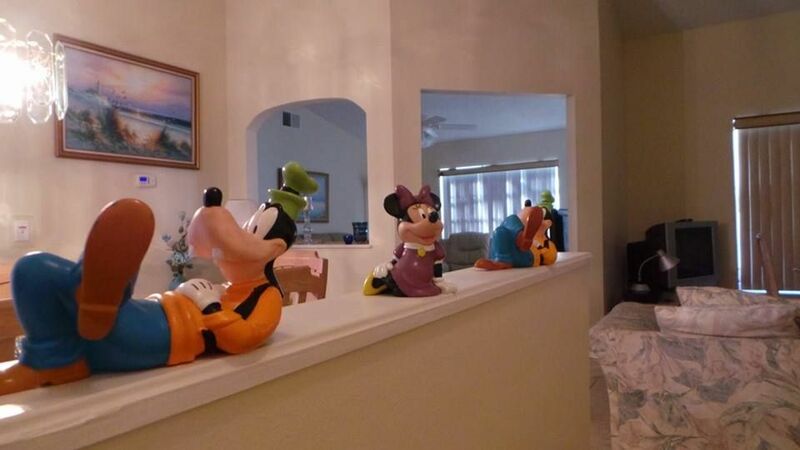 Have you stayed in Goofy's Getaway? If you have visited in and stayed in Goofy's Getaway please provide us with comments on your experience. For security reasons, only your name and comment will be posted.